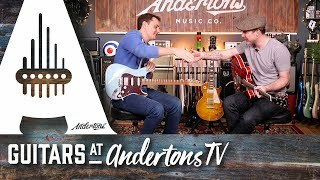 New for 2018 the Rut Buster series is offering guitar plays easy to use ideas that they can use to get themselves out of a rut in their playing. Was loads of fun! 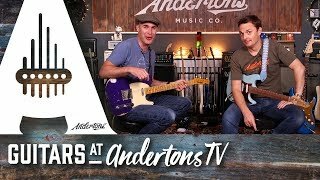 This first Rut Buster video with Captain Anderton was lots of fun, a bit rambling, but think we explore some cool ideas! 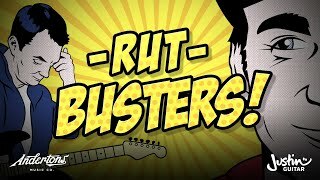 Episode 2 of the Rut Busters, we explore using the 6th of the Major Scale in a Blues context! 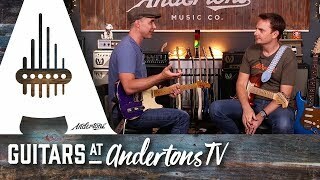 In this session we figure out how and why some licks work over only some chords and we explore that general territory! 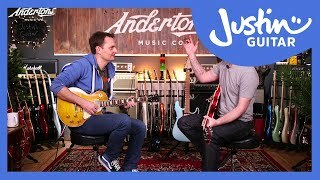 In this episode, Justin and Lee chat about how and what to practice and how to make a practice routine! 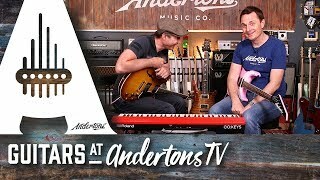 Rut Busters ep.5 Chords In Keys? How do you work out the chords in a key and why is it important? Rut Busters ep.6 What Key Am I In? 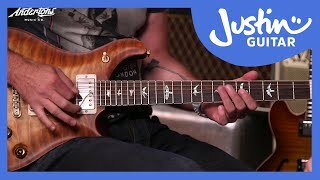 Watch the Captain have a Eureka moment with chords in keys :) hope it might help you have one too! In this lesson, we start a look at how to expand out of the usual chords when playing rhythm! 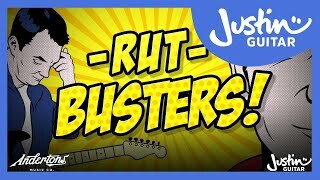 Rut Buster ep.9 Exploring Chord Extension! 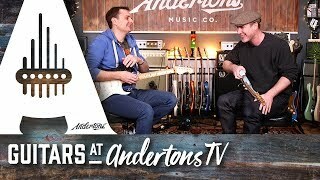 In this session, we explore using chord extensions in a Blues context and expand Lee's chord vocabulary! In this lesson I teach Lee the Hendrix Rhythm Tricks - there are follow up lessons on the site too!